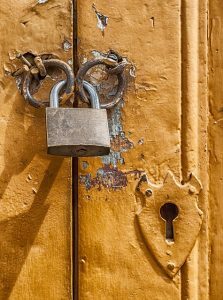 Two-factor authentication (short 2FA) is an important security concept to secure unauthorized access to your web applications. 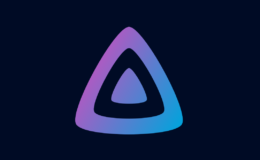 Popular online services like Google Mail, Instagram or Facebook already provide this mechanism to secure user accounts with an additional one-time token. Considering someone is able to obtain your username and password combination, for example on a public internet terminal in the library or the airport, he or she won’t be able to gain access on a second device without knowing the additional security token (the second factor). 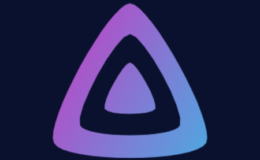 This token will be send to you on a different channel or device. 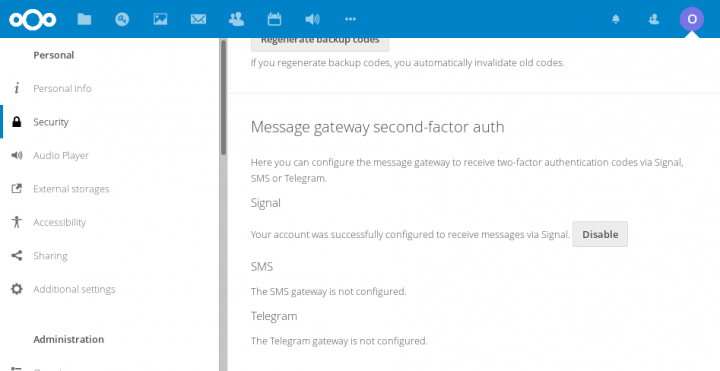 Starting with version 14 of Nextcloud, there’s now also a new app called two-factor gateway which can send these additional tokens to Signal Messenger, Threema, E-Mail etc. Setting up this infrastructure is a bit more complex since your server must be able to support one of these gateways. 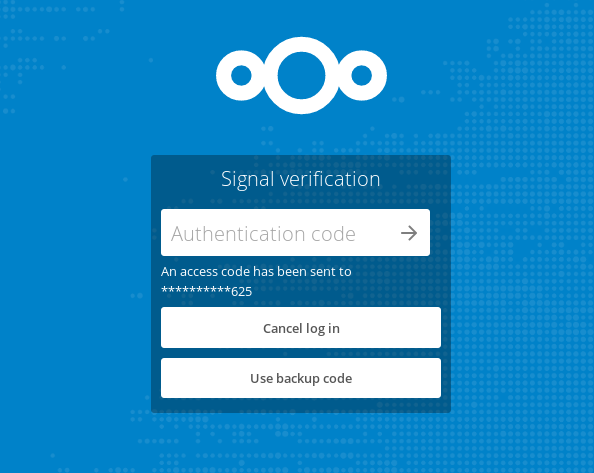 In this post I’ll describe how to setup the Signal 2FA gateway on an Archlinux machine. Enable the twofactor gateway app in Nextcloud and configure it on your user settings page in the security part (see the following picture). 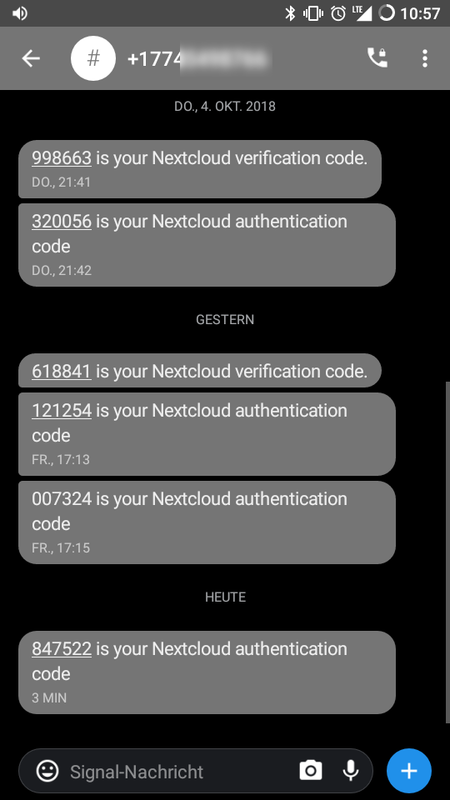 Next time you login into Nextcloud you’ll be asked for the token after entering username and password. The filename “remote_1234” has to be changed, matching your recipient phone number. 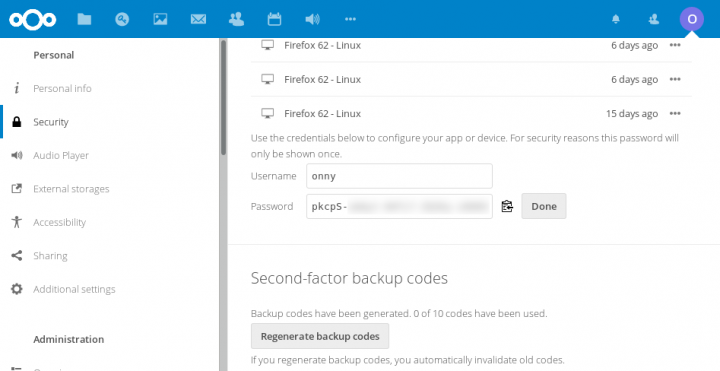 Other clients which access your Nextcloud instance might need to be reconfigured after enabling two-factor authentication. For instance, I use the Android app DavDroid for syncing my contacts and calendar entries and it won’t be able to login with 2FA enabled. In such cases, you’ll need to generate an app specific password, as shown in the picture above, which will be used only by this app and won’t require 2FA.